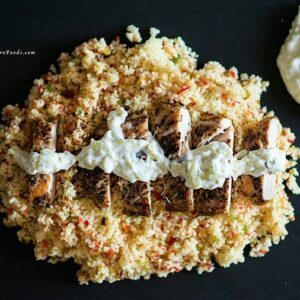 Quick, fresh and healthy Greek Chicken with CousCous and homemade Tzatziki recipe! I was watching over the weekend, one of Jamie Oliver’s episodes from his 15 Minutes Meals series and he was cooking this fantastic, juicy Greek chicken recipe. 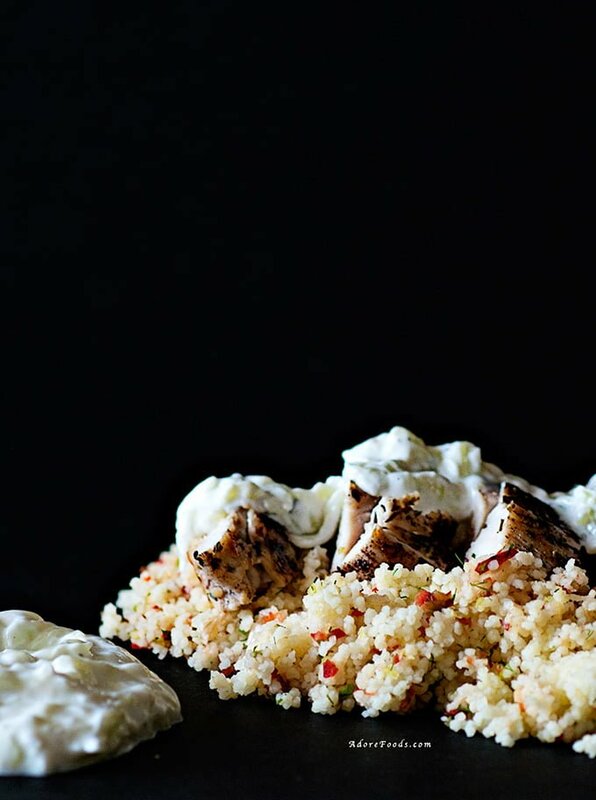 I absolutely loved the combo of grilled chicken with couscous and fresh homemade Tzatziki and I decided to make it this week. I have changed a little bit Jamie’s original recipe because I believe less is more sometimes, especially when we talk flavors. He used a lot of all spice for chicken in his recipe and I am not such a big fan of this seasoning. It is way too strong for my taste, so overpowering and I really wanted the chicken to have the traditional Greek seasoning: salt, black pepper and dried oregano. I have also added some fresh garlic to my homemade tzatziki. That’s how I like mine. 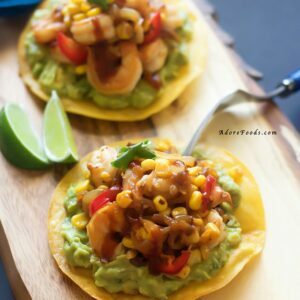 If you don’t want to add it, the original recipe did not include it and I think still tastes ok.
Hope you will enjoy this quick, fresh and healthy recipe! We have really loved it :)! On a large sheet of baking paper, toss the chicken with salt, pepper, the oregano and finely grated lemon zest. Fold over the paper, then bash and flatten the chicken with a rolling pin. Add it to the frying pan with 2 tablespoons of olive oil, turning after 4 minutes, until golden and cooked through. Using a grater, coarsely grate the cucumber into a bowl. Sprinkle it with a good pinch of salt, then squeeze and scrunch with clean hands to get rid of the excess salty water. Pop it back in the bowl adding the yoghurt, juice of ½ a lemon and a pinch of pepper, finely chopped mint, then mix together. Put 1 mug of couscous and 2 mugs of boiling water into a bowl with a pinch of salt and cover. Remove the stalk and seeds from the chilli, then pulse in the processor with the trimmed spring onions and the dill until finely chopped. Fluff up and scatter over a tray the couscous, add the chili mixture, toss well and season to taste. 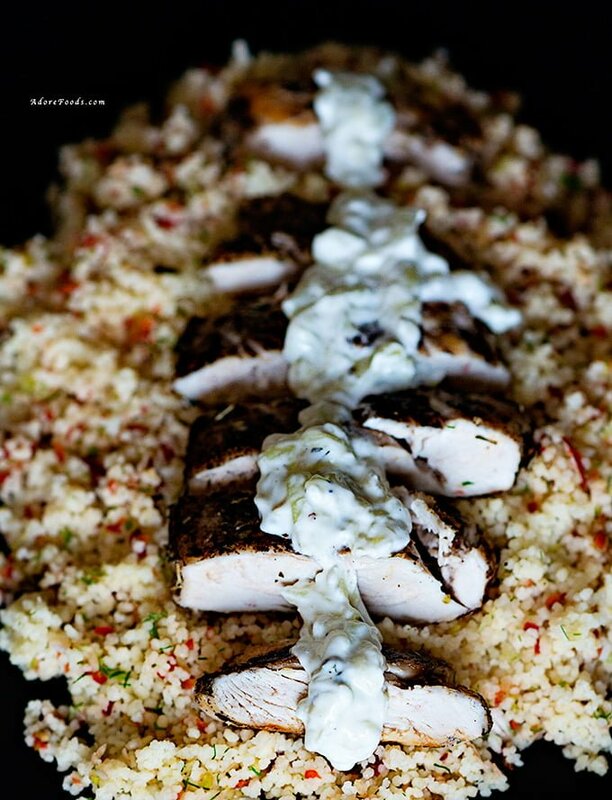 Move the cooked chicken to a board, slice it up, then lay it around/ over the couscous. 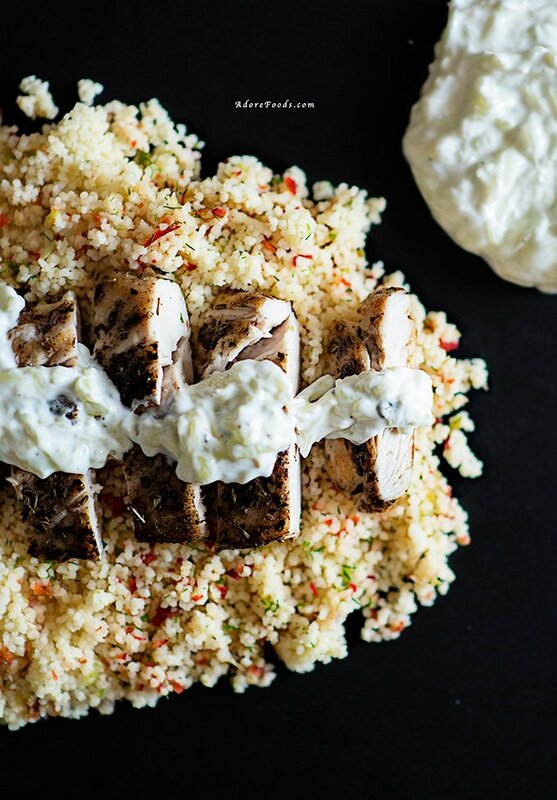 Crumble over feta cheese and serve with the fresh tzatziki. 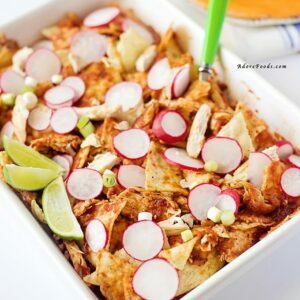 This recipe is adapted from Jamie Oliver - 15 minutes series. I have made couscous a few times, but only with chicken broth. 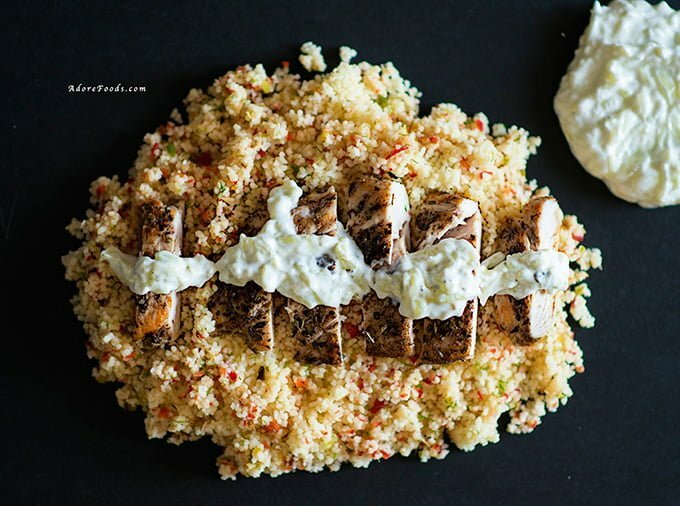 Your couscous look colorful and flavorful! And that homemade tzatziki sauce! Looking forward to trying this dish! Enjoy your weekend. This looks so yummy, my friend. I do like greek food, and I am sure going to crave it once I am back home since I can’t seem to find it here here in Thailand. I’VE BEEN LOOKING FOR A RECIPE LIKE THIS ONE! 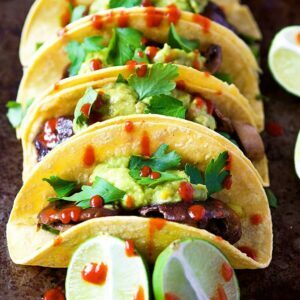 LOOKS DELICIOUS AND GREAT COMBINATION OF FLAVORS! PINNING!